Google recently announced that its Shopping feature would no longer be free for online retailers, and this is causing a fair amount of consternation among some online companies. The move is forcing some online merchants to raise their prices so they can stay profitable, according to Search Engine Watch. For example, the online retailer DasCheap has been forced to raise prices, after Google Shopping made the switch, which it says it did so that it can offer better discounted shopping choices through their search engine. Some retailers feel as if Google is ‘acting sort of like a drug dealer.’ That is, they allow you to try Google Shopping for free, and then they get companies hooked on it, and then start charging. Companies are forced to pay up to survive. 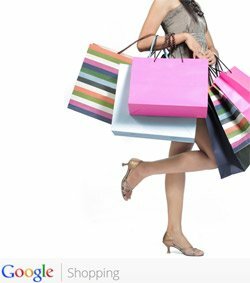 Due to the fact that so many people use Google Shopping for instant, accurate shopping information, people go there by second nature. Online retailers have to pay if they want to be able to show their discounted merchandise to millions of potential customers. So, these companies are forced to raise prices. This means that a lot of retailers will have to raise their prices across the board, which means, some say, that Google is causing an overall rise in product prices. Of course, online companies can still enjoy free, organic search results in Google. However, to get your products to show up in the shopping section, you have to pay for performance. Most companies that can afford it will pay up – research shows that Google Shopping has been the #1 comparison shopping engine for more than two years. Some retailers feel that the pay-to-play model will hurt Google. They say that shoppers compare shop at Google to see low prices. If firms have to pay to show up in their results, the prices are going to be higher across the board in Google Shopping, and some shoppers may go elsewhere.